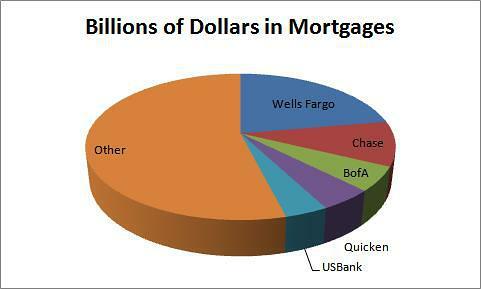 Many different mortgage lenders serve the refinance market. And, while they might seem like they are all the same at first glance, once you scratch the surface, significant differences appear. The same mortgages can carry wildly different rates and terms when you go from lender to lender. At the same time, you can find programs that some lenders offer and some do not. Some lenders may be better suited for your qualifications than others, too. With this in mind, researching every lender of America, or working with a service that can identify the best lender for you, is an excellent way to get the best refinance rates and terms. Which areas do lenders serve? While most lenders are national, some are not. Some lenders will cover a very small territory, where others have infinite reach. National lenders, like Bank of America, Wells Fargo, US Bank Home Mortgage and CitiMortgage, serve all 50 states and, in many cases, US territories like Puerto Rico, the US Virgin Islands and Guam. Some of the largest national lenders can even make international mortgages to US citizens who want to buy abroad or for foreign nationals who want to buy locally. Most of these lenders have branch locations in each state for easy face-to-face communication. At the same time, some regional lenders keep their lending close to home. While regional lenders are located all across the country, many of the largest regional lenders, like SunTrust Mortgage, are located in the Southeastern United States. At times, a regional lender’s unique perspective can enable them to make loans at more competitive rates than a national lender. Finally, the smallest type of lender, credit unions and community banks will have a refined service areas. These banks tend to keep a lower profile than regional and national banks, but that doesn’t mean their products are less desireable. In many cases, credit unions and community banks can keep their rates lower than the market average because of their small member base. How about different lender programs? Just about every lender offers fixed rate mortgage and adjustable rate mortgages (ARM).The primary difference will be in the loan terms within each of these conventional loans. A 30-year fixed rate mortgage is the most popular choice, but there can be a variety of customized loan terms to consider. For example, some lenders offer 40-year fixed rate mortgages to help reduce payments while others have excellent 10-year mortgage refinance rates which let you get your house paid off quickly. Some others offer interest-only payment options which help reduce your payments for the first few years. Navy Federal Credit Union, if you’re eligible, offers ARMs in a huge variety of terms: 1/1, 3/1, 5/1, 7/1, 10/1, 2/2 , 3/5 and 5/5 ARMs. Different lenders participate in different government programs, too. Some will make a HARP mortgage while others focus on providing competitive FHA programs. Borrowers that are veterans or active-duty military service people looking for a VA loan or refinance need to go to a lender that provides VA loans. While many banks will do them, military focused lenders like USAA Mortgage and Navy Federal Credit Union frequently offer better rates and terms. Many banks will also offer the option for jumbo mortgage financing if your home costs more than conforming rates. Refinancing your home comes at a cost – though no two lender is alike on this front. Comparing two loan offers is a difficult process – no two offerings will be the same. It might be the case where one lender looks more desirable because they offer a lower rate – but, when you look at the fine print, you might see they require higher closing fees. Researching all of your options, and paying close attention to detail is the best way to secure the lowest rate. You can ask for a Good Faith Estimate which will detail the exact expenses you can expect to pay. Typical fees include origination fees, appraisals, title fees and more but closing costs will be different by different lenders. This happens because lenders can have different policies. 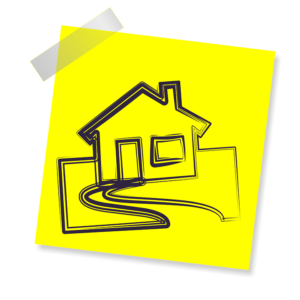 For instance, some will let you do a FHA Streamline refinance without an appraisal while others will not. Some cap the size of your Home Affordable Refinance Program while others have no upper limit on the loan-to-value ratio of a qualifying loan. Some lenders might allow you to roll your closing costs into your refinancing which will adjust your interest rate, but allow you to close at a lower rate. You might be surprised to find that just because one lender has a lower interest rate, the overall cost of refinancing will be higher because of the amount of closing fees. It’s important to use a refinance calculator to compare terms between lenders as well as your current loan terms. Researching different lenders and their programs is the best way to find out which will give you the best refinance mortgage. Apart from interest rate, APR, and closing costs, a few additional loan terms can adjust the cost of your loan over its lifetime. It’s important to ask about these three items while comparing terms between different lenders. Rate lock: A rate lock is a time frame a borrower must close their loan by in order to secure the quoted loan rate. A longer lock period is desirable. A short rate lock rushes a borrower through the loan process. If you are unable to close the loan in the rate lock time period you can extend your rate lock for a fee, or be subject to a higher interest rate. Prepayment penalty: If you pay your loan off earlier than your loan terms have outlined, you may be subject to a penalty. Be sure to get, in writing, what you would be expected to pay if you paid your loan off early. This rate can vary significantly, and can be quite pricey. The prepayment penalty is often 80 percent of six months interest (principal not included). As an example. if a borrower has a mortgage rate of 5.5 percent on a $600,000 loan amount, their interest-only payment comes out to $2750 per month. Multiply that by six months, take 80 percent of the total, and the prepayment penalty equals $13,200. Mortgage insurance: Private mortgage insurance is a way to protect a lender if a borrower defaults on their loan. Private mortgage insurance generally costs a homebuyer 0.5 to 1 percent of their purchase mortgage, annually. That is to say, if you borrow $250,000, you would be on the hook to pay $2,500 a year in PMI. If the loan-to-value ratio drops to 80 percent, a homeowner can request to cancel their PMI. With all of the competition in the refinancing market, you’d expect everyone’s rates to be about the same. They aren’t. It’s lucky that technology has advanced in a way that makes research lender to lender easier. The quotes found online can’t be the end of your research though. Because a number of factors contribute to the true interest rate a lender will offer you, it’s necessary to work with a lender directly for the precise rates you can expect. Rates will change based on location and borrower qualifications. Shopping around is especially important if you need a jumbo refinance loan. Since banks typically loan their own depositor’s money out on jumbo loans, there are more variables that go into pricing them and you could find that one bank is much less or much more expensive. Your research will yield a bunch of information. A surefire way to compare your current loan with the many quotes you’ve been given is through the use of a mortgage calculator. You can easily see how much money a lender can save you, and if refinancing makes sense for your current situation. You can also use the tools here at refinancemortgagerates.org to learn about all of the different lenders – more explicitly what they offer and how they compare to other lenders. Once you find ones that look like they could be a match, we can help you find their rates and help you get the best deal on your refinancing.